This week's 'Wolverine: Infinity Watch' #2 explores Logan's interstellar side, so look back at some of his other space journeys! To say Wolverine seems like an earthy kind of guy feels like an understatement. He lived in the woods (virtually alone) for years, and nothing makes him happier than a simple fight and a bottle of suds. However, as a Super Hero—especially one with the ability to live as long as Logan can—tangling with the cosmic always remains a possibility. And since Wolverine is the best there is at what he does, even when that is not very nice, he takes his brushes with the intergalactic very seriously. With the Canucklehead's newest cosmic reckoning unfolding in this week's WOLVERINE: INFINITY WATCH #2—on stands now—we've decided to count a few of our favorite Logan space trips. Deathbird made a deal with the Brood, an alien parasitic race, that she would provide them with powerful hosts if they helped her overthrow her sister Lilandra. They followed through and Deathbird gave them the X-Men, the Shi’ar Fang, Lilandra, and Carol Danvers to use as gestation bodies. They ended up experimenting on Danvers because they found her Kree/Human hybrid physiology fascinating, but the rest they infected, including Wolverine. Using Logan, however, turned out to be a tremendous mistake. His healing factor and his adamantium skeleton allowed his body to resist and then destroy the Brood egg. Once he became uninfected, he went on to save nearly all his fellow abductees. Only Fang could not be reached in time, ending up fully subsumed and turned to a Brood warrior. However, the heroes remained infected and no solution appeared evident. As they slowly began to turn, Wolverine resigned himself to having to kill his friends to keep them from fully losing themselves to the Brood. Thankfully, the Brood made one other mistake: messing with Danvers. By unlocking her latent abilities, they allowed her to access her Binary ability and the Brood never stood a chance after that. On the anniversary of his failed marriage to Mariko Yashida, Logan did what you would expect: he tipped his elbow at a nearby watering hole…a lot. However, he made it home just in time to encounter Horde, a villain bent on ruling the Universe. 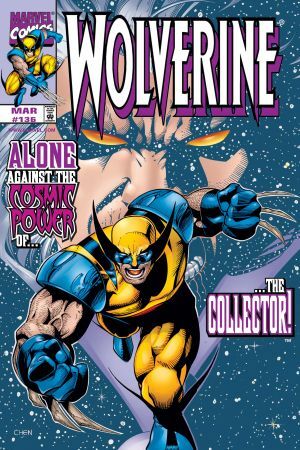 Wolverine, along with several teammates like Havok, Psylocke, and Storm, got teleported to a citadel by the baddie with a single mission: retrieve a powerful cosmic crystal. The citadel, however, had its own defense system... It made invaders “see” their heart’s desire as real and, as a result, become lost in their own wishes. One by one, the X-Men got picked off until only Wolverine and Storm remained. Horde confronted the duo just before they reached the crystal, planning to kill them before they could make any attempt to stop his plan. Wolverine pushed Storm into her own fantasy world to protect her and engaged the fight. Unfortunately, Horde made quick work of Weapon X’s favorite son, literally ripping Wolvie’s heart from his chest. In the battle, however, some of Logan’s blood made contact with the crystal, resurrecting and bonding Wolverine to it. He quickly realized that the crystal could do what the citadel presented but actually...anything he wished would not just become a fantasy world he could lose himself in, he could make it a reality. He briefly pondered remaking the world in his idea, but concluded that would be wrong. Instead he settled for slaying Horde and returning all of his fellow X-Men to reality. Then he destroyed the crystal. It turns out that Wolverine helped humanity pass a cosmic test and ensured the survival of Earth. However, none of the X-Men realized at the time or will ever learn that truth. 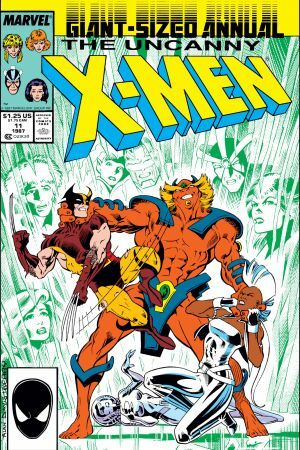 In an adventure that took Wolvie from Earth to the outer reaches of the Universe and back again, Logan teamed up with the Starjammers on an intergalactic journey. Before he left, he got in a bar fight and faced off against a whole lot of heroes. Then into the stars he went to tangle with teeming masses of aliens and organize a prison riot to escape the clutches of the Collector. All of that, however, paled with the final step of his journey: face to face with Galactus. That’s right, the cranky canuck versus the Devourer of Worlds. 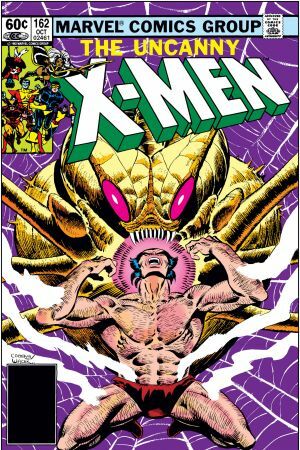 Logan may be tough, but could even his healing factor keep up with the massive purple cosmic being? Not to spoil anything, but…nah. It really could not. After a strange incident in New York City, Wolverine became aware of a collection of microscopic aliens who were plotting an invasion of Earth. He may have derailed their plan on land, but in reaction, they seized a S.H.I.E.L.D. helicarrier. In addition to being impossibly small, the aliens had the ability to possess and control human beings. As a result, Logan found himself surrounded by a cadre of possessed S.H.I.E.L.D. agents with no way to fight back without harming innocent people. Before long, the situation went from bad to worse as the helicarrier ended up resting on the ocean floor. 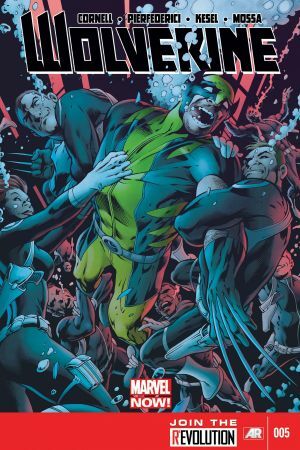 With water pouring in, Wolverine could not afford to abandon the craft until he made absolutely sure the threat was over. In the end, he proved triumphant, but at what physical and psychological cost? The world ended. Only Thor and a few humans remained, awaiting inevitable, well, Doom at the hands of a wildly powerful Doctor Doom who slowly worked his away across the galaxy towards his former home world, seeking to end any and all life. That someone? A very old Logan, of course. While it initially appeared he may be as much foe as Doom, he soon revealed he came as a mission of mercy. 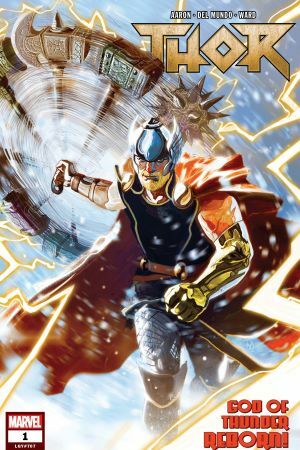 He knew that in order for the Thunder God to stand a chance against a Doom who wields, amongst other gifts, the Power Cosmic and the Iron Fist, Thor needed a power upgrade. Wolverine had that upgrade, sacrificing his life to give the Phoenix to Thor for the battle of all existence. 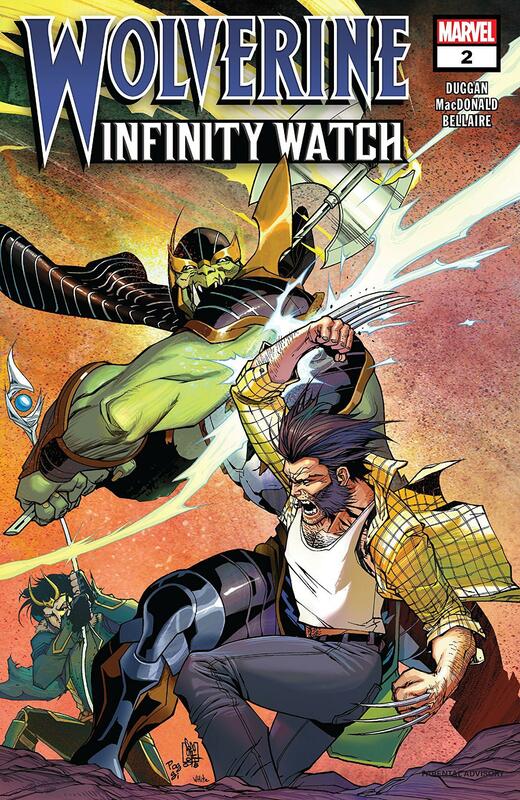 Read WOLVERINE: INFINITY WATCH #2 at your local comic shop right now!